The share price of Apple has been dancing the Mambo lately as it goes back and forth in its value, but at least one analyst still sees the potential for the price to hit $1,000 a share. Piper Jaffray analyst Gene Munster is known for being the ultimate bull when it comes to the future of Apple. In early April he was predicting that the share price would $910 within the next year, which didn't seem impossible as the price was already sitting at around $631, but it closed out last week at $558. While some feel the halcyon days of Apple's explosive share price may be behind us, Munster released a note to investors on Friday that outlined why he feels $1,000 is still obtainable. Major updates coming to the Mac such as Retina Displays. The iPhone 5 will be a major update as opposed to the iPhone 4S. The iTV will be announced by the end of the year and released in early 2013. He doesn't see the current smartphone subsidy structure changing for two to three years. Apple will maintain its 40% gross margin for several more years. The "heart transplant" strategy of eliminating old products often will allow it to continue to secure the best component prices. 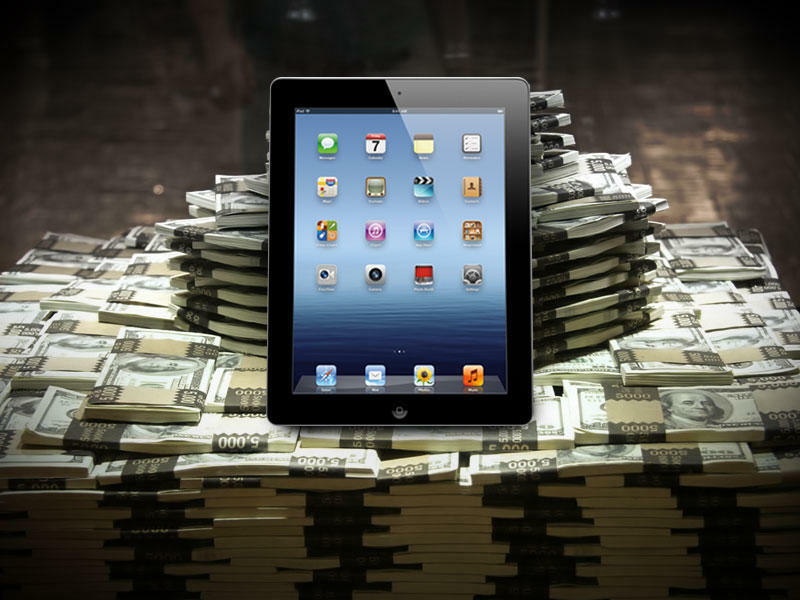 Tablet sales will continue to grow through 2015, and the iPad brand will remain the leader in the market. Continued growth into the Enterprise market space fueled by more adoption in consumer's personal lives. Continued enhancement services that will give consumers more value for their dollars. At present, Munster is not adjusting his projection of $910 a share, but simply saying this is why he feels that the $1,000 estimates are not out of line. With MacBook Pro updates expected in the coming weeks, it shouldn't be long before we see how accurate his projections are.